Hillary Clinton and Maxine Waters have called for incivility and confrontation, and Antifa is happy to oblige. Street anarchy and mob violence on American streets is getting wilder by the day. The following videos from Portland, Oregon show a confrontation between left-wing Antifa members and right-wing Proud Boys as scores of bystanders look-on. Things spiraled out of control quickly, prompting Portland police officers dressed in riot gear to open fire with less-lethal rounds. As OregonLive.com reports, the demonstration billed as a march for “law and order” in the streets of Portland descended into chaos as rival political factions broke into bloody brawls downtown Saturday night. The melee ended when riot cops rushed in and fired pepper balls at the street fighters. As The American Mirror reports, Patriot Prayer is advocating for the removal of Antifa sympathizer Mayor Tim Wheeler, who has defended the actions of his police department, which stood down as agitators blocked traffic and intimidated residents this week. Antifa, apparently, is backing the mayor. Doing something to protect the tax-paying citizens who fund your entire career seems like a place to start, rather than worry about the political optics of any intervention. This entry was posted in Clinton, Politics and tagged Antifa on October 14, 2018 by Bone Fish. Left-wing Occupy ICE PDX protesters left massive amounts of garbage and “human waste piled high” for the city to clean at taxpayers’ expense outside Southwest Portland’s US Immigration and Customs Enforcement headquarters. Cleanup has begun at what, for five weeks, was the Occupy ICE PDX camp. Portland Police Bureau officers limited access to the site earlier [Wednesday], calling it a biohazard. The mayor’s office confirmed to FOX 12, the city will pay for a portion of the cleanup bill, as will TriMet. Both are part of the consortium that owns the land on which protesters set up their camp. Where protesters once stood, now trash litters the ground. But Savage says he’s relieved for things to go back to normal. “Getting tired of waking up to the bullhorn and the sounds and the cussing,” he said. Even after receiving orders from Mayor Ted Wheeler to leave on Monday, Occupy ICE PDX leaders affirmed they would not. This is what Democrats want for every city in America. This entry was posted in Politics and tagged Antifa, Democrat, Occupy, Occupy ICE PDX, Portland Oregon on July 26, 2018 by Bone Fish. This entry was posted in gun control, Revolution and tagged Antifa on May 12, 2018 by Bone Fish. 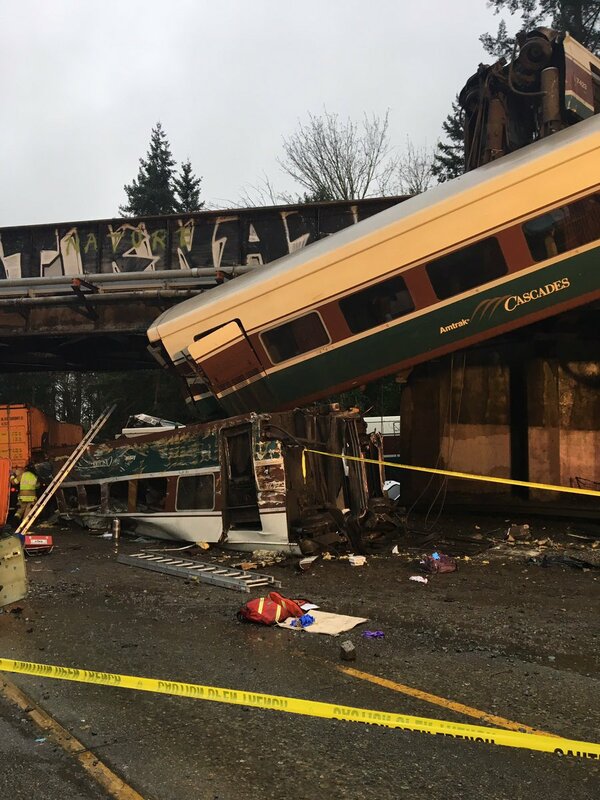 This entry was posted in Revolution and tagged Antifa, Tacoma train wreck on December 18, 2017 by Bone Fish. This entry was posted in America and tagged Antifa, NFL, Take A Knee on November 11, 2017 by Bone Fish. This entry was posted in Trump and tagged Antifa, Jeb Bush on November 2, 2017 by Bone Fish.